Want to get exhilarating experience in your home?If yes, select Prateek Verbena situated in Sector 150 Noida Expressway to live your life amazingly. The project is one stop destination for all home seekers who are looking for their luxurious homes in dream city like Noida. Designed according to modern technology and concepts, the development offers a green atmosphere, attractive interiors, gorgeous exteriors, top-class security and modern lifestyle amenities at your doorstep. Verbena has everything you require for a perfect life. This beautiful venture is nestled across 11 acres of prime land and features spacious and luxurious 2, 2.5 and 3 BHK apartments at an affordable price. A total of 700 residential units are housed in the township ranging from 1050 sq. ft. to 1450 sq. ft. It also incorporates a marvelous sky walk connecting all towers offering a wonderful view of the scenery. All the units here are high ceiling apartments with a provision of a broadband, gas pipeline, intercom facility, DTH connections and videophone. 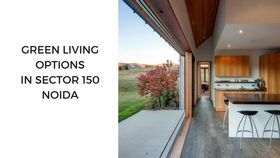 Each home is spacious and incorporates luxury fittings and furnishings, elegant modular kitchens with granite top, high-quality OBD paint, ACs in all bedrooms, living room and dining area, and vitrified flooring in bedrooms. 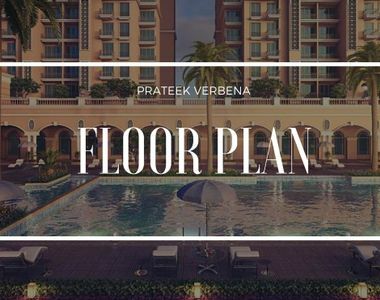 All those who desire to have unlimited relaxation, enjoyment and fun, arrive into the Prateek Verbena Noida and live your life to the fullest. The external amenities of the township are really extravagant and embrace a sparkling swimming pool, abundant plants and trees, a sports facility, a multipurpose hall, stringent security system and landscaped gardens, amphitheater, clubhouse, power backup, high speed elevators and a lot more. Administrative block, designer nameplates with letterbox, water softener plant, sensory garden-touch-reflexology path, Jacuzzi and yoga center are some of the other useful amenities of this township. Strategically located at Sector 150 Noida, the development enjoys easy connectivity to all the important regions in and around the city. Connectivity adds up stars to this township as it is only 5 minutes drive from Sector 18, Noida which is the key shopping destination of the city. Accessibility to the bus stand and metro station are amazing and residents will not face any trouble in terms of reach-ability. 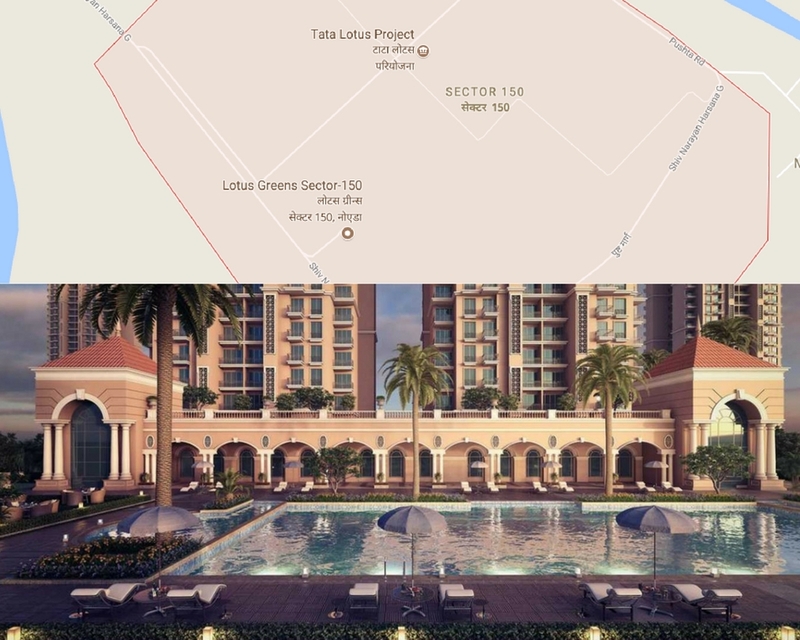 Prateek Verbena Sector – 150 is also connected to Greater Noida, Ghaziabad, Gurgaon and Faridabad through FNG, NH-24, DND and Noida-Greater Noida Expressway. Booking a home here ensures good returns in terms of lavish living and is a value for money. The price of the residential units here starts at just Rs. 48.30 lakhs and moves up to Rs. 66.70 lakhs, which is quite attractive. The project is also offering a plenty of friendly payment options to home-buyers for a convenient purchase. So rush and book your sophisticated home today.